The pressures of modern living and financial requirements have led more people to plan funerals far ahead of time. Choosing cemetery plots is becoming an increasingly popular means of protecting families who have to face the devastating consequences of losing a loved one. Research into the costs, facilities, and environment will be required to make a suitable purchase. Research is important to ensure that the desired plots are purchased for a dignified burial. 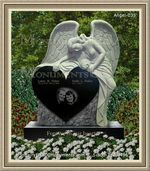 It is important to search for the right cemetery that will offer reputable and dignified services for you and your family. The environment should be assessed when making a decision to look out for cleanliness and maintenance. The plot should be selected according to its location. Determine whether a burial should take place at a site near other family members who have passed away or a more distant alternative. Decide which area or city the last place of rest is to be implemented. The costs will need to be assessed in order to calculate whether you are able to settle the expenses that are charged. 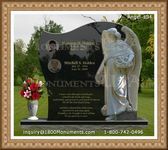 One has the choice of a large and sophisticated monument or a more traditional headstone on a small piece of land. Consider maintenance charged and its overall value that it can provide. When choosing a plot, determine whether you will opt for traditional or environmentally friendly solutions. 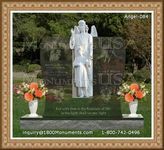 There are numerous sites available and services provided by cemeteries. A careful assessment of these measures can aid in making the best possible decisions for you and loved ones.